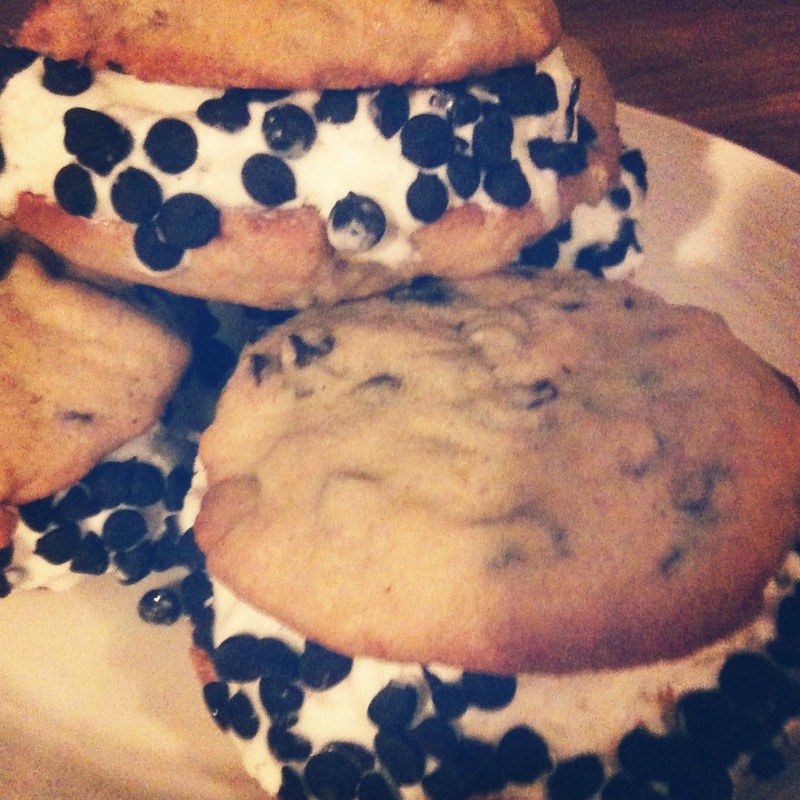 I still love ice cream sandwiches and think they’re the perfect finish to a summer barbecue. I actually made these cookies last weekend, too, and Dave brought home a bag of mini chocolate chips from the grocery store. They worked well in the cookies, so I decided to use them again on Sunday, but this time I reserved some chipettes to roll onto the exposed edges to create the full Chipwich effect. Results: Nostalgically delicious. Also, photographing ice cream in a hot apartment is tricky. This entry was posted in Food and tagged bake, baking, chipettes, chipwich, chipwiches, chocolate chip cookies, dessert, food, homemade ice cream sandwiches, ice cream, ice cream sandwich, ice cream sandwiches, martha stewart chocolate chip cookies, mini chocolate chips, recipe, recipes, summer barbecue, vanilla ice cream by lovewritenow. Bookmark the permalink.